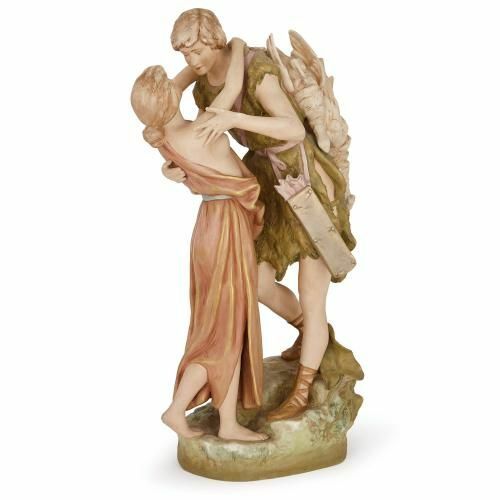 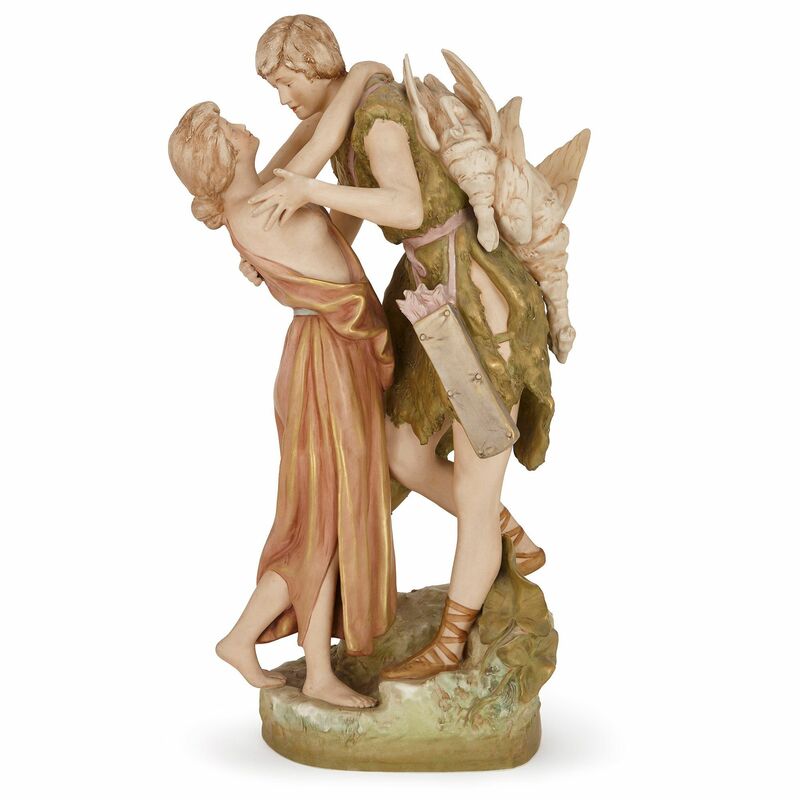 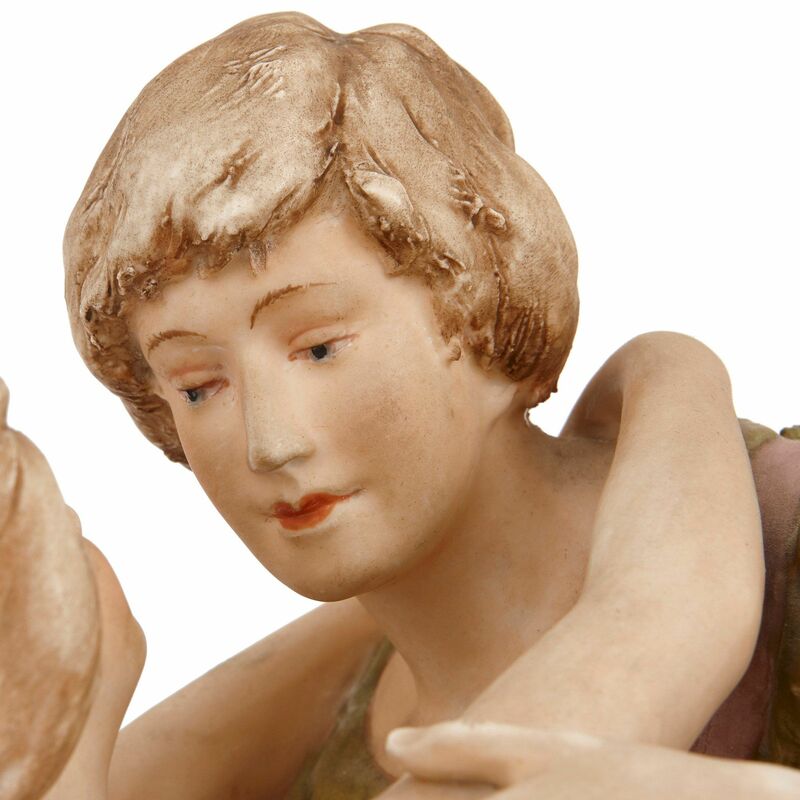 This porcelain figural group, depicting two lovers, is a fine example of the splendid porcelain figures made by the Bohemian Royal Dux manufacturers. 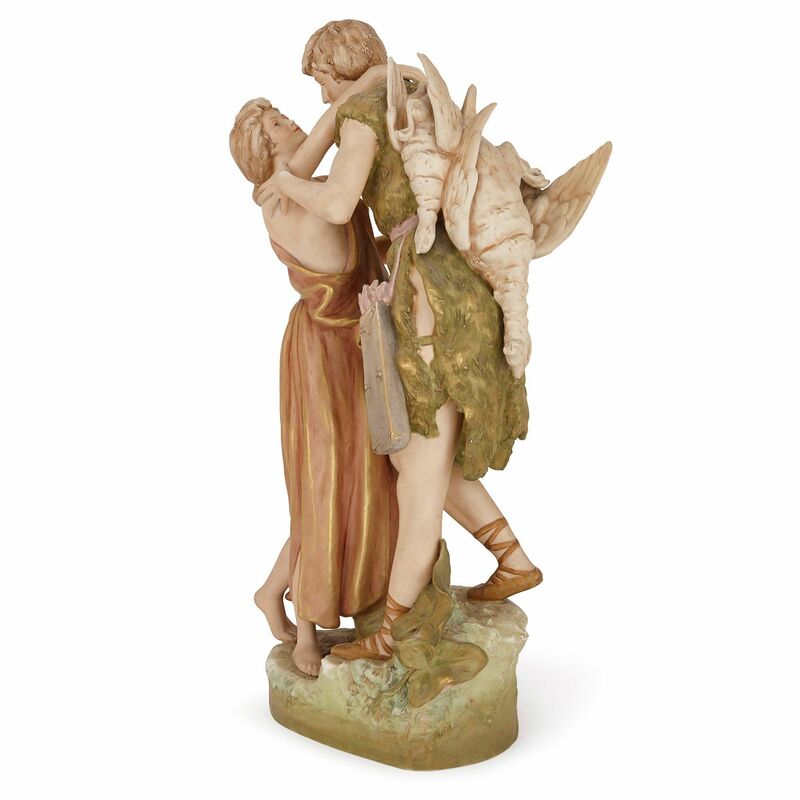 The porcelain group depicts two lovers, a hunter and a maiden, in an intimate moment. 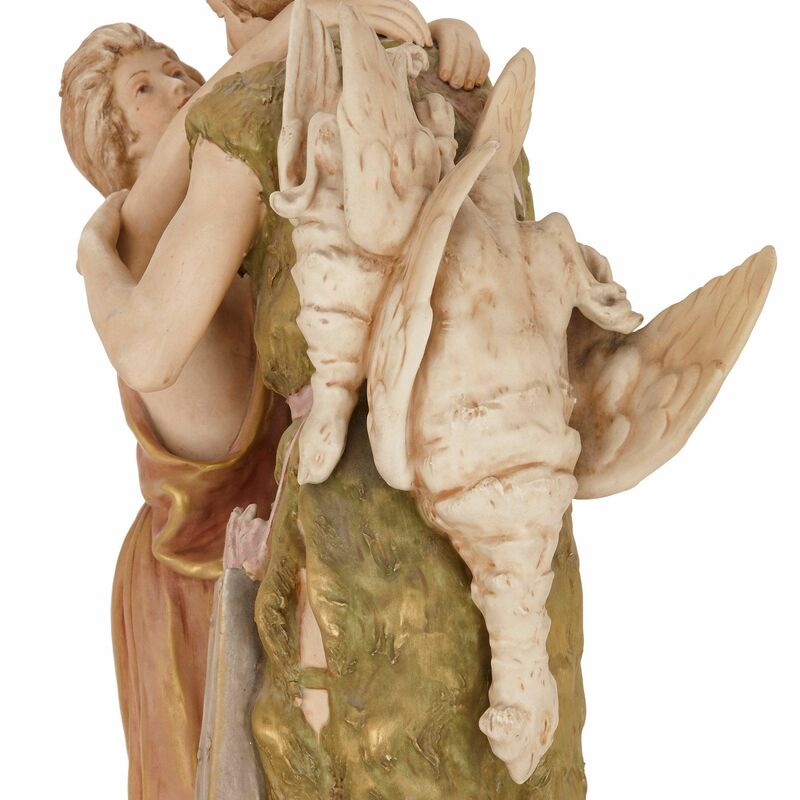 The hunter is shown wearing green robes with two birds draped over his back and arrows around his waist. 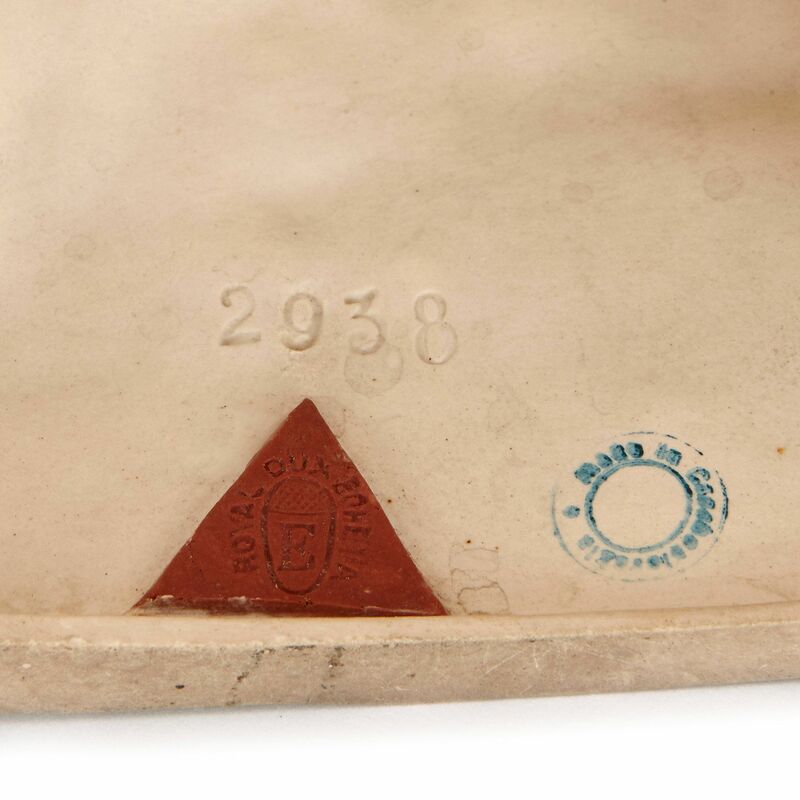 The group is set on a raised naturalistic plinth base, the underside of which is marked with the triangular seal for the Royal Dux company.